The investment isn't all about what's done on the field. That's the largest part, but the Buffalo Bills expect more from the five-year, $30.5-million contract they gave Micah Hyde early in March. They expect things like Hyde making the point to reporters that defenders simply getting their hands in passing lanes during offseason practices isn't good enough. "Yes, we are getting a lot of hands on the balls," he said. "But at the same time, we have to capitalize on those. We are stressing that a lot in meetings. We want to get pass breakups, obviously, but we want to get turnovers. "We’ve been stressing that a lot and we know we can keep getting better." It's a perfect example of the sort of thinking coach Sean McDermott wanted to bring to his roster when the Bills signed Hyde away from the Green Bay Packers in free agency. McDermott wanted an assertive veteran, someone who would instantly shed any feelings of having to first get comfortable with new surroundings before stepping forward as a leader. That's Hyde. He understands the Bills' defense is going through a makeover, especially in the secondary, and that experienced voices need to be heard. Sometimes, it's calling out coverages and adjustments on the field, but most of the time it's making sure everyone is on the same page in the meeting room. Not just with Xs and Os, but with grasping all that it takes to become a winner, like the one on which he played in Green Bay. 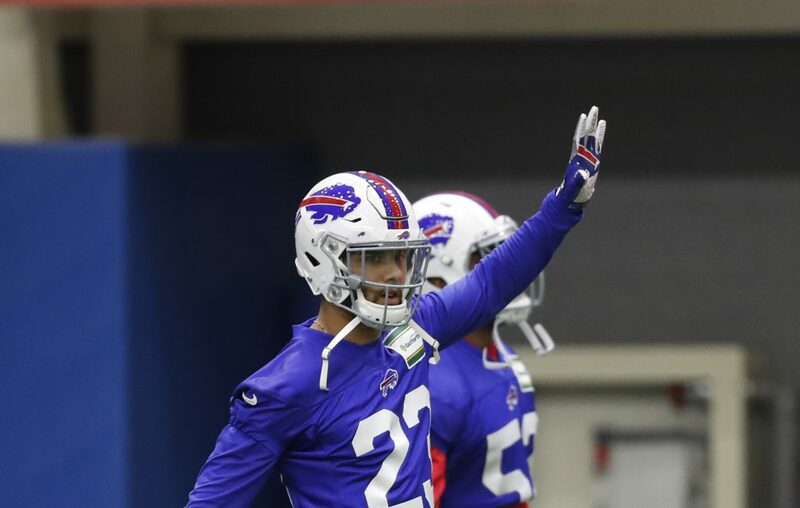 Hyde and fellow free-agent signee Jordan Poyer have replaced Aaron Williams and Corey Graham, who have been released, as the Bills' starting safeties. There will be at least one new starting cornerback, first-round draft pick Tre'Davious White, and other new faces in reserve roles. "I think we are getting better," Hyde said after a mandatory minicamp session last week. "Every day, we are getting better. Everybody is out here working. I can’t speak for offense as much as defense, but the defense is getting better every day and we are communicating. "It’s good to see. Coming to a new team and starting all over again and meeting these guys, I see a lot of positive things and I’m excited." During four seasons with the Packers, the former Iowa Hawkeye established himself as one of the more versatile players in the NFL. Besides safety, he also played cornerback, nickel back, covered kicks and returned punts. With the Bills, Hyde has mainly worked at safety, but he's also in the mix as a punt-returner. He knows the multi-purposing drill well. "I’ve been doing it for a while," he said. "I did it all through high school and in college. I did it while I was in Green Bay, so it’s nothing new to me. You learn the defense, you study the playbook on the defensive side and from there, you catch the ball when you return." Hyde is learning a new defense. He hasn't absorbed it all, but there's plenty of time to do so through the balance of the offseason and during training camp, which opens July 27. Through OTA and minicamp workouts, he relied mainly on muscle memory and instincts. He knows how much better he'll be able to perform when the playbook becomes second nature. "The terminology is different, obviously," Hyde said. "Once you get terminology down, everything comes into play. This is about training your eyes. Right now I’m training my eyes and trying to get used to this defense and from there, we are going to make plays." Making plays is the largest part of what the Bills want from their investment in Hyde. The rest is his ability to help the defense make more.